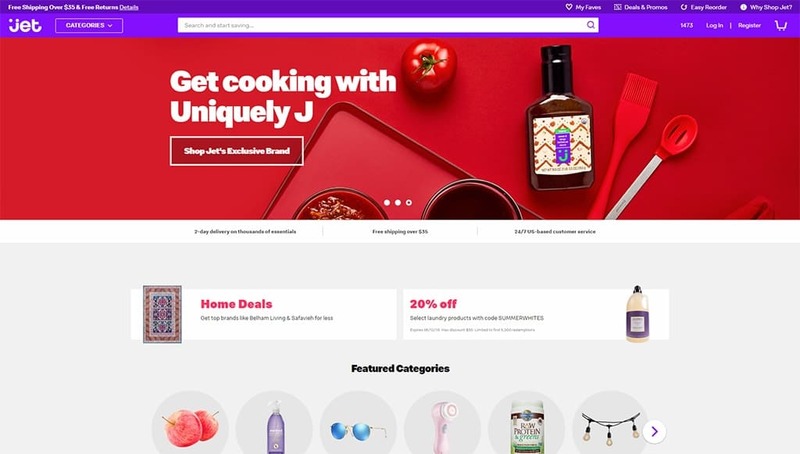 Founded in 2017, Jet.com is a relatively new player on the block. Its initial business model emphasized low prices over fast shipping that other e-commerce retailers like Amazon Prime use. Its premise was to influence consumer choices to create a win-win situation for both the seller and buyer. Both parties could save money. What Is Jet.com, and How Does It Work? 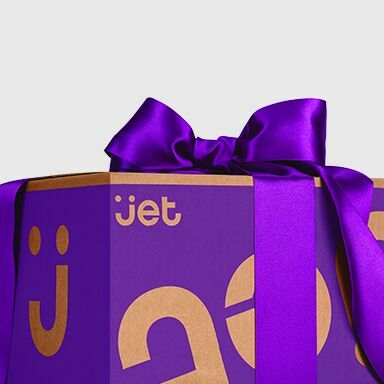 Jet will ship products in one of two ways. The company’s warehouses stock what it calls “everyday essentials.” These orders have a quicker turnaround. They partner with other retailers for other items. It’s worth noting that Jet.com is now a subsidiary of Walmart as of September 2016. In many ways, the shopping experience resembles any other online retailer. It has a decent selection of the staples like paper towels, coffee and canned goods. You can also get some products at wholesale prices such as cleaning supplies and trash bags. While you can get nonperishable foods, fresh items are another story. Distribution is limited to the East Coast. The company passes the cost savings to buyers in several ways. A consumer can get a lower price if they choose multiple items, especially from the same distribution center. They can also opt out of free returns. Shipping takes two to five days. However, the buyer can choose the two-day option for essentials. You can get fresh food delivery same-day service or within a two-hour window. The catch is that you need to be within its coverage area. The Walmart connection will likely be the difference. As CEO Marc Lore explains, 90 percent of Americans live within 10 miles of a store, making cost-effective shipping feasible (Source: Business Insider). According to Ibis World Pricing and distribution costs remain the greatest challenge for companies in this burgeoning industry. However, all signs point to continued growth which is good news for the consumer. That’s especially true with businesses that have established delivery systems or those who can form partnerships with local stores to keep costs in check. Let’s see how they compare. Delivery options are another area where these retailers vary considerably. Your costs can add up quickly if you don’t pay attention to the fine print. Some services have minimum orders to even ship an order. Others have a price threshold for free shipments. You’ll also see additional fees for rush deliveries, peak traffic times or for some purchases like alcohol. Let’s take a look. Free delivery on orders over $35. Otherwise, a $7.00 charge applies. Deliveries are free for orders over $40. If you spend less, it costs $9.99 even with the membership. $5.99 for a two-hour delivery for non-members. Membership gets you unlimited free deliveries for orders over $35. $9.95 with a $60 minimum purchase. It costs $7.95 for orders between $75 and $100. If you spend more than $100, it is $6.95. However, there is a fuel surcharge. Orders under $35 cost $5.99 to ship. If you buy more, it’s free. You should do the math if you have your choice of grocery delivery service since so much depends on how much you buy. Bear in mind that you’ll see higher prices buying online than going to the store yourself. And even the local partnerships may not honor in-store discounts or deals. If you can meet the minimum threshold, Jet.com offers an excellent value. The reputation of the various options for a grocery delivery service often reflects what people think about the parent company. While Jet.com has Walmart, Target Corporation owns Shipt. Many of these businesses began as start-ups. The concept of this model isn’t new with Amazon becoming a player in 2007. Others may have struggled a bit at first. Jet.com is no exception. Part of the reason lies in its pricing that may have created some confusion and bad blood. Jet.com experimented with membership fees which it then dropped. It tried a cash incentive program called JetCash which also failed. Then, there are the charges. Buyers only have a 30-minute window to change or cancel an order. Given how quick it delivers fresh foods, that doesn’t seem unreasonable. However, multiple charges based on shipping and the initial pre-authorization have added to the negativity. According to The Wall Street Journal, the business itself made some missteps in the beginning that caused trouble with some retailers. Unfortunately, these occurred in early in its life. The acquisition by Walmart was a smart move financially. However, that only scratches the surface. Walmart ranks last among the major retailers in customer satisfaction. Though it saw an increase from 2015 to 2016, its brand still struggles (Source: American Customer Satisfaction Index). One has to wonder how Jet.com will fare with this association in the long run. As a supermarket, it also is on the bottom of the list. You also need to consider quality. That’s especially important when it comes to fresh foods. If consumers thinks a store’s products as inferior, they’re less likely to dish out more cash for a service viewed as a luxury or convenience. Fair pricing will go only so far. It may sell the pantry items, but it may fail to lure shoppers who want the best in produce and meat. We’d love to hear what you think. Share your grocery shopping experiences at Walmart with us in the Comments section below. Does it change your perception of Jet.com? Jet.com is similar to other grocery delivery service businesses with minimum purchases on fresh foods. For example, you have to buy 2 lbs of grapes or four avocados. That could be a deal breaker for a product that’s two days old by the time you get it. It raises a lot of concerns about food waste. However, you can get single pieces of some items. one of a thing. That’s a good selling point especially if you can save more on the price. You’ll also see multiple sizes in some cases. Perishable foods are cold-packed in separate sections depending on the product. There is a $4.95 flat charge for it. However, you can save additional cash if you buy more than one of a thing. The discount isn’t much but would likely add up if you buy a lot. You’ll have to place your order between Monday and Thursday to get it that week. The current two-day delivery is a bummer if you like to do some last minute shopping. That’s why you’re ordering online to save time, right? It’ll be interesting to see how Jet.com evolves to capture a larger share of the fresh food market. Jet.com offers an excellent selection of both perishable and non-perishable products. We liked the fact that you don’t have to tie yourself down to a membership even if it’s just a trial. We prefer a pay-as-you-go format. The company succeeds on that score. Its pricing is decent, though it can vary with some items going for better deals than others. But we appreciate a business that tries to work with the consumer to deliver a less expensive product which benefits both parties. It’s a good model if it works. Delivery costs are reasonable. The $35 threshold is a pleasant surprise compared to others that have much higher minimums. Navigation on the website is excellent. You can keep track of where you are for the free shipping which was helpful. The information about ordering deadlines was another welcome feature. browse the site without setting up an account first. Other online sites want you to sign up and give your credit card information. On the downside is that two-day delivery for food. We liked saving money, but we prefer fresh food. There is a freshness guarantee, but it won’t do you a lot of good if you need it to make dinner that night. The same goes for the minimum purchase amounts. To be fair, that’s not unique to Jet.com. It’s a matter of practicality. Keep it in mind because it’ll drive up your grocery bill. The bottom line is that it’s probably worth a shot if the fresh food delivery is available where you live. The minimum order is very doable if just to stock up your pantry. The idea of no commitment is also attractive. If you get bruised produce every time, it’s easy to break up with the company. The major deal that Jet.com offers is its free shipping on nonperishable goods for orders over $35. That’s comparable to Amazon Pantry. The site has a Deals & Promo option on the top menu bar. Much of what we saw in fresh foods was market down 20 percent or more. It offers a lot of specials both for both perishable and packaged items. These prices vary, of course. The company has a Refer-A-Friend program for earning JetCash. It starts at $10 per referral. It’s different than the previous JetCash promotion in which you got a percentage of your purchases like as a cashback bonus. There are some conditions to redeeming it. There is also a cap at $500 that you can make from it. 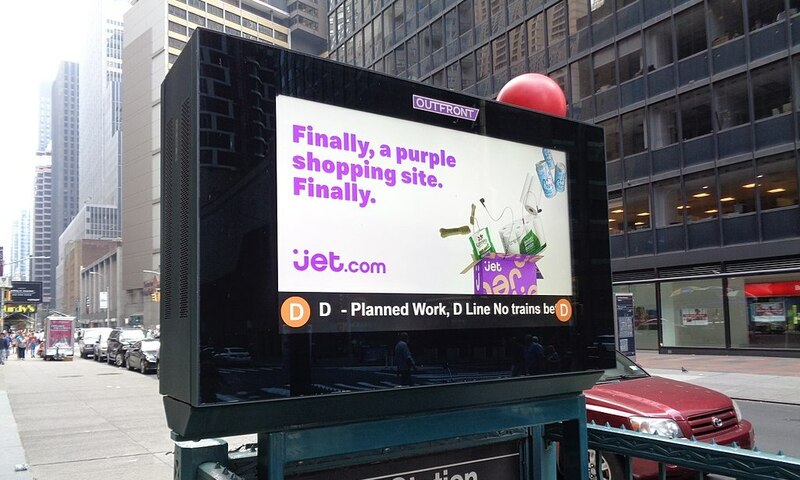 Overall, Jet.com strikes us as a good value for one-stop shopping. In addition to food, you can get a wide range of products from furniture to appliances to electronics. They even offer installation services if you need it. If you get fresh foods too, it’s worth a free shipment to save the time on one outing to the grocery store. 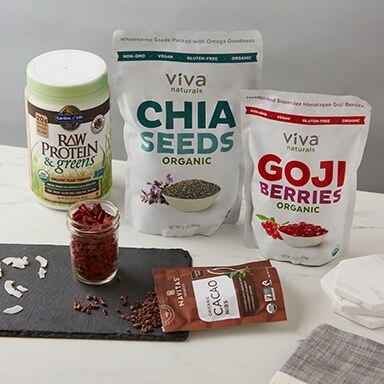 Jet.com offers a great selection of both perishable and non-perishable products and we liked the fact that you don’t have to tie yourself down to a membership. The online experience is excellent where you can easily filter by category, brand and deals. But one of its disadvantages is their two-day delivery for food. Although there is a freshness guarantee, it's still a bit useless if you need it the day you have ordered it.